A pretty series combining detailed flower and bird charms with enamels, fresh water pearls and various beads in quartz, crystal and glass. Available in satin silver plate with either shades of green OR white/clear. 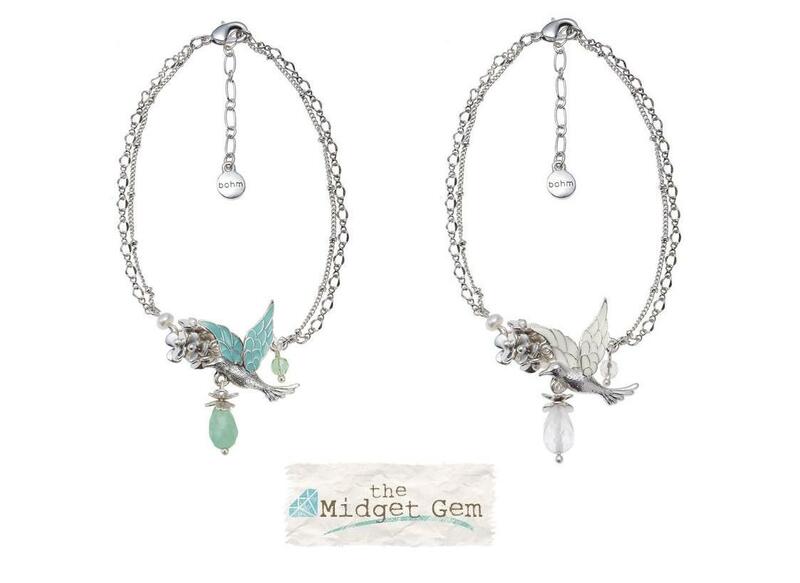 Bird cluster bangle. Enamelled bird, flower, quartz and glass beads. Bead/charm size 5mm up to 3.5cm/35mm. Adjustable size - it expands/contracts to fit. Diameter 6.5cm/65mm. Inner circumference 20cm/8 inches (this is adjustable). 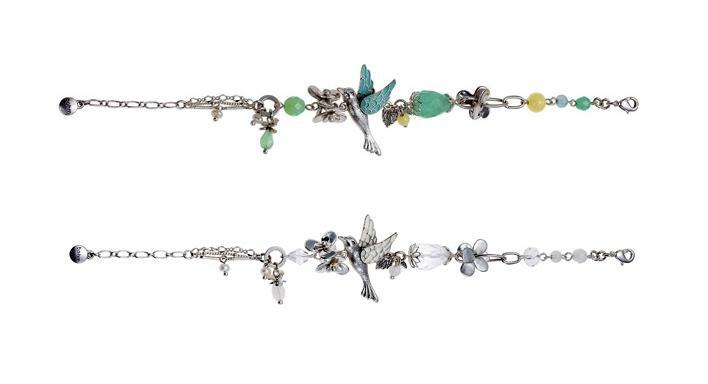 Adjustable bird and flower charm bracelet. Enamelled bird, flower, quartz and glass beads. Bead/charm size 5mm up to 3.5cm/35mm. Adjustable 19cm/7.5 inches to 23cm/9 inches. Bird and flower cluster ring. Enamelled bird, plain metal flower, beads in quartz and glass, freshwater pearls. Bead/charm size 5mm up to 3cm/30mm. Adjustable size - it expands/contracts to fit. 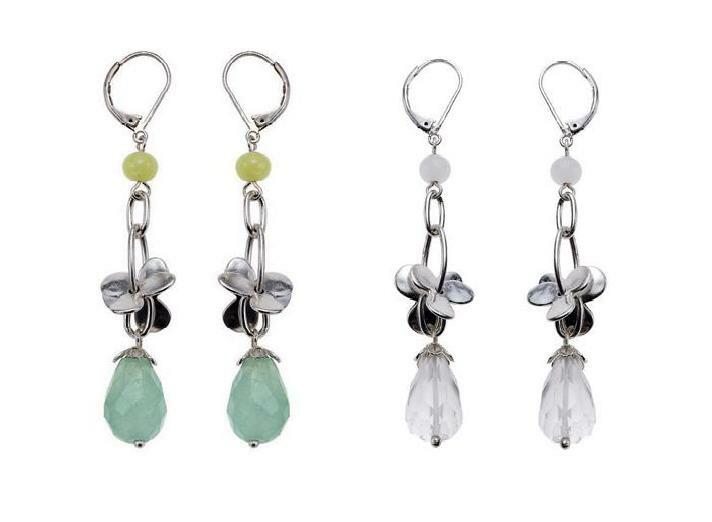 Flower and quartz drop earrings. Bead/charm size 5mm up to 2cm/20mm. Total length 7.5cm/75mm. French clip for pierced ears. 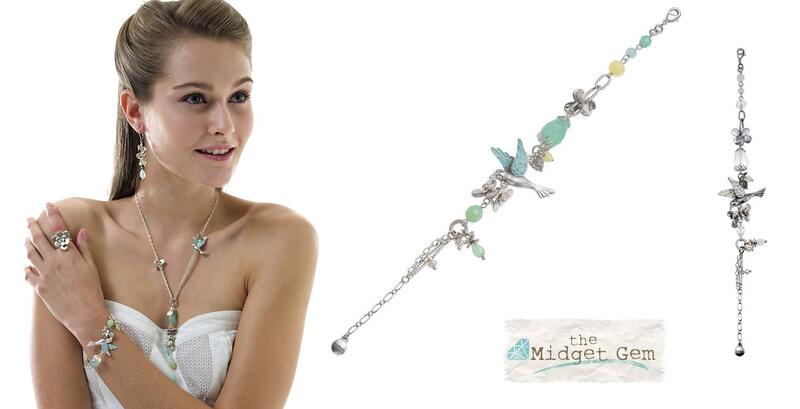 Ankle chain/anklet with bird charm cluster. 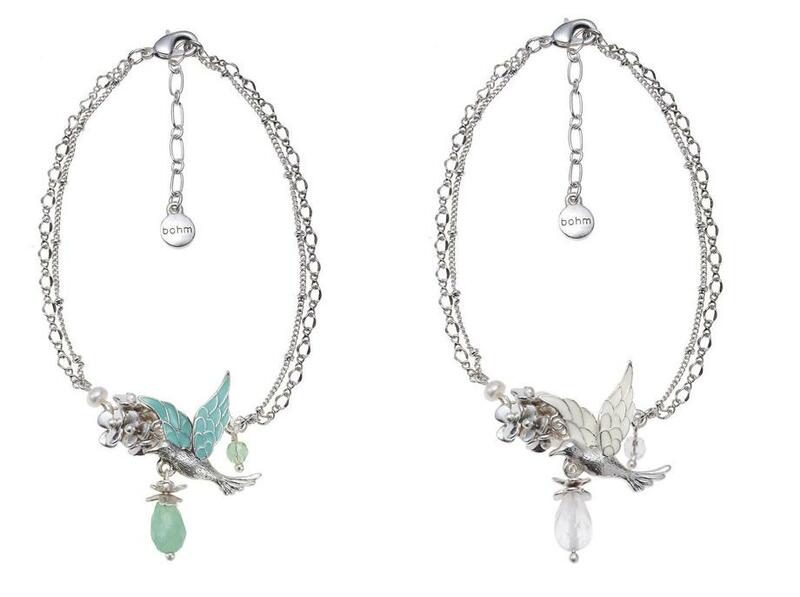 Enamelled bird, plain metal flowers, freshwater pearls, and beads of quartz and glass. Double chain. Bead/charm size 5mm up to 3.5cm/35mm. Adjustable length 22cm/8.75 inches up to 26cm/10.25 inches. 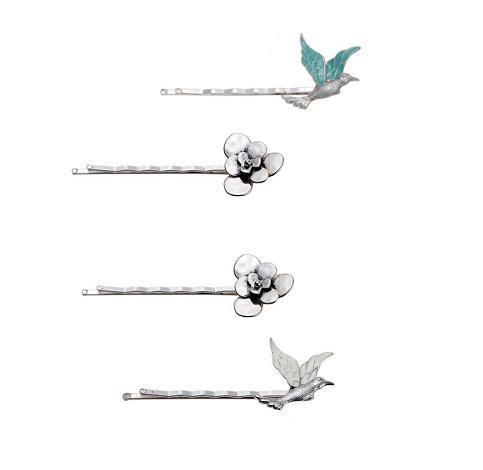 Two 'Bobby Pin' hair clips with a flower and bird decoration. Enamelled bird and plain metal flower. The bird and flower measure 2cm/20mm - 2.5cm/25mm. Bobby pins measure 5.5cm/55mm in length.